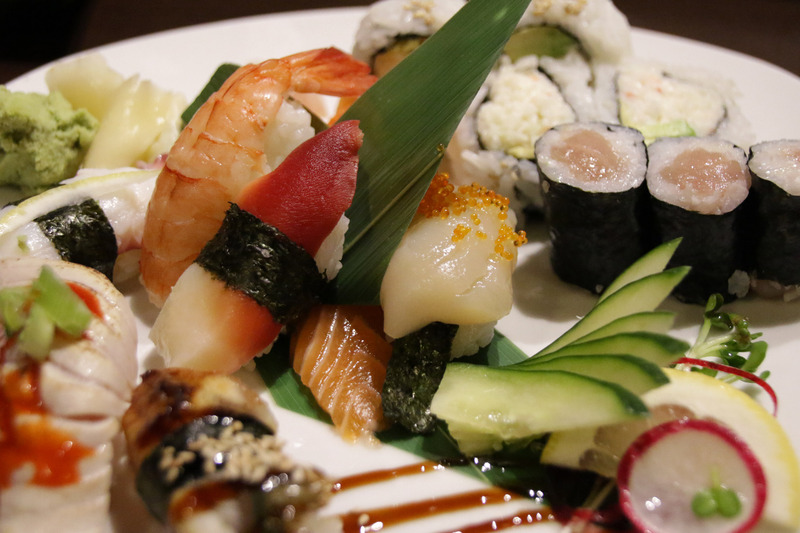 Y Sushi is located along Edmonds Street near Kingsway and has a variety of sushi options for lunch, dinner, and takeout. Conveniently in walking distance from High Gate Mall, there were a few items on their menu that that were different from other sushi restaurants, giving a sense of new things to try!The menu has a variety of sushi options at Y Sushi but something that caught our eye was the Battera, or “pressed sushi”. This type of sushi is moulded by using blocks to push the sides together, making the rice more dense from regular sushi. We ordered the BBQ Eel (Unagi) and Ebi (Shrimp) Battera, which came as two separate items on the same plate, both drizzled in sauce. Both were very tasty but the BBQ Eel was probably the better out of the two. While the Battera Sushi was delicious, I didn’t enjoy it as much as regular sushi because the rice seemed moister and there was just more rice. We ordered the Assorted Sushi Combo, which came with 1/2 tuna roll, 1/2 California roll, and 8 pieces of Nigiri Sushi chosen by the chef. The Nigiri was excellent and very fresh with a beautiful presentation on the plate. With such “high-end” sushi, I’m not sure why they would combine it with a California Roll. The California roll was ok but it would have been nicer if the roll were salmon or some other fish that complemented the nigiri on the plate. One of the specialty rolls that we tried as the Energy Roll, which consisted of yam, cucumber, cream cheese, deep fried crunchy potato, and teriyaki sauce. The all-vegetarian roll was delicious with the crunchy strings adding the perfect texture. Cream cheese is often over used in sushi, over powering the other flavours but in the Energy Roll, the right amount was used and all the other flavours melted together perfectly. 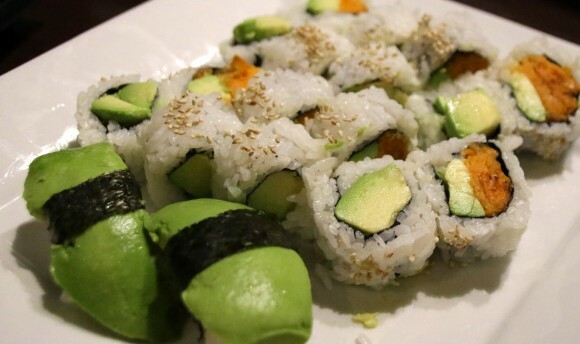 If you’re into Avocado, then Y Sushi is the place for you. Their Avocado Yam Roll is excellent and they are one of the places who makes Avocado Nigiri sushi. The service was very good and the ambiance nice in the small restaurant. Parking is a real challenge with no street parking directly out front and as the neighbourhood is growing fast with all of the nearby apartment developments. Prices were in the mid-range, not cheap but not expensive as we found that the quality for what we paid for was great value. To sum it up, there was nothing to really complain about. The experience at Y Sushi was enjoyable and it was nice to see a few different things on the menu like the Baterra, avocado nigiri, and specialty vegetarian rolls, all of which were very good. We will definitely return to Y Sushi when we are in the neighbourhood before it catches on and starts to get more popular.